A two-piece gown with a lace top that introduces a scalloped hem, bateau neckline, and a button-up back. The skirt is made from tulle and has a coarse thread under tulle waistband. 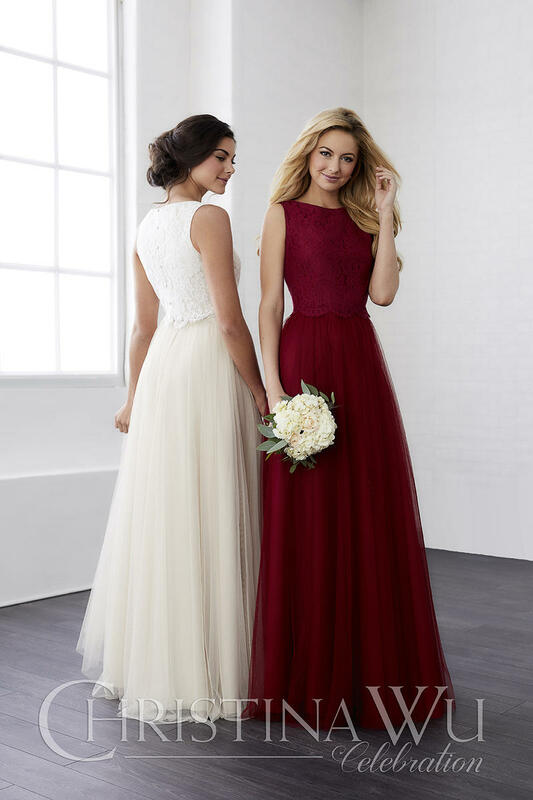 Pictured in: Ivory/Latte, Claret/Claret.